During the first session this morning Stuart and Richard introduced themselves to the students, setting out the structure and the aims and objectives of the course. The class then learnt how to structure a technical warm up exercise that builds strength in the playing hand, accuracy in the picking hand and coordination between the two. 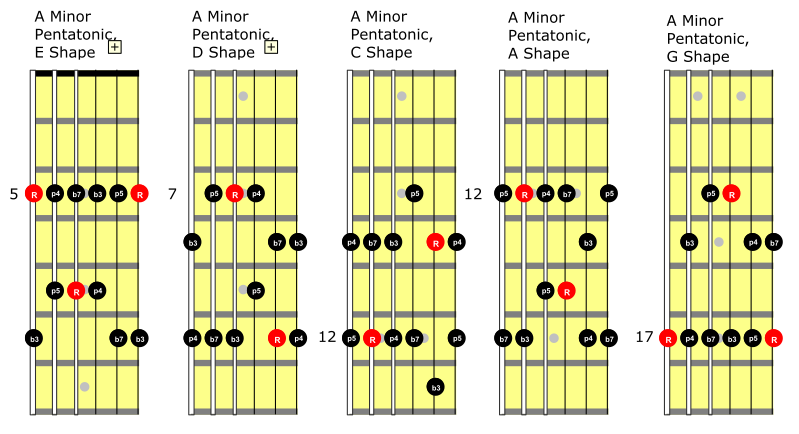 After the coffee break the class began learning the five positions of the Minor Pentatonic Scale, using the correct fingerings and how to place the shapes across the neck. 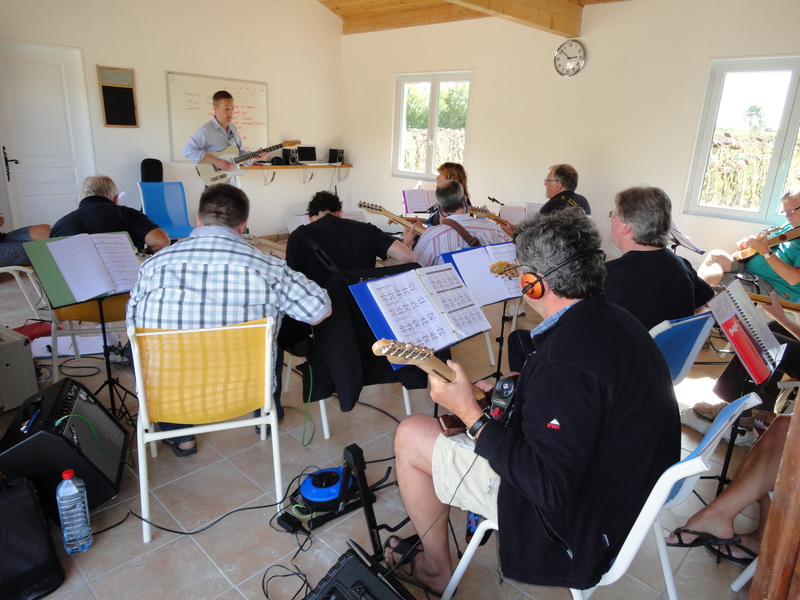 During this session the class learnt how to use whole-tone bends using the Minor Pentatonic Scale positions. After lunch the class worked on a playing licks with in the Minor Pentatonic Scale positions one, three and four. 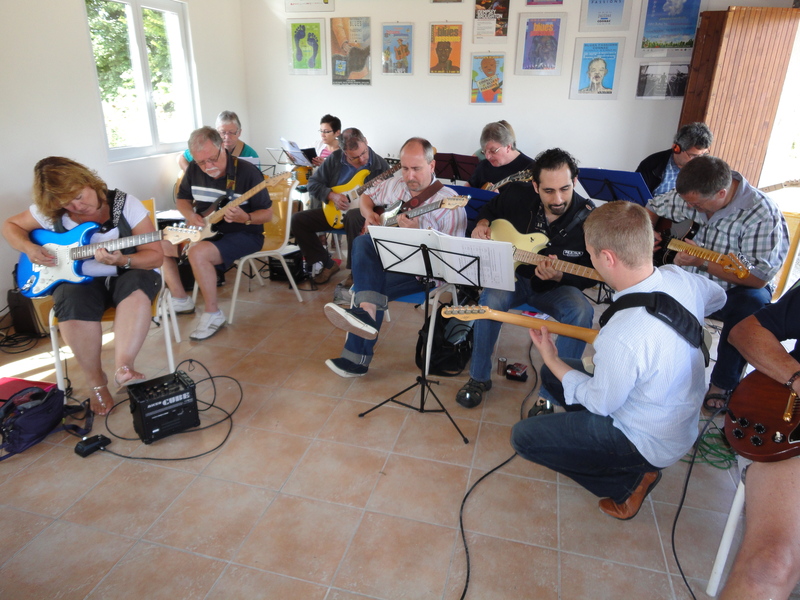 The class then jammed over a twelve-bar blues backing track, working on their new licks and Minor Pentatonic Scale shapes. This entry was posted in Day #1 and tagged Bath Guitar School, Blues Guitar, Electric Guitar, Europe, France, Guitar Holiday, Guitar Holiday in France, Guitar Masterclass, Guitar Tuition, Guitar Vacation, Guitar Workshop, I'm A Guitarist, Modern Blues Guitar Course, Music Holiday, Richard Perkins, Stuart Ryan. Bookmark the permalink.